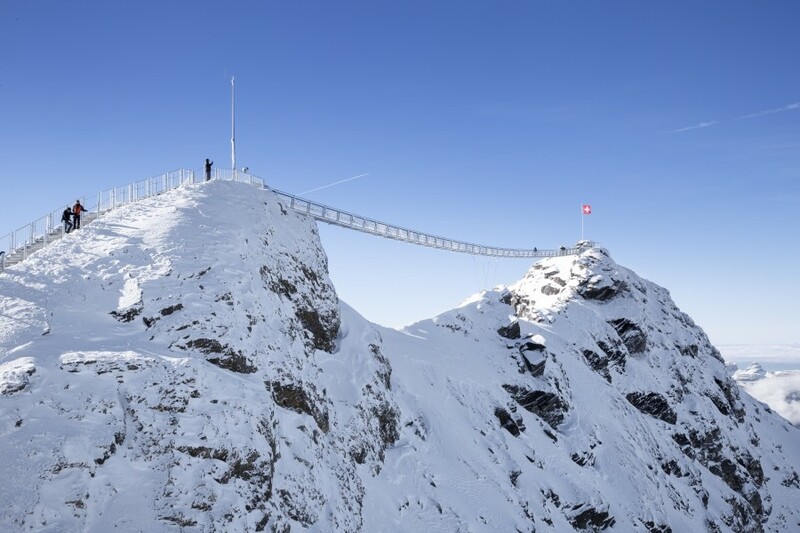 Peak Walk at Glacier 3000 is among the 3 best rated Tourist Attractions in Switzerland. 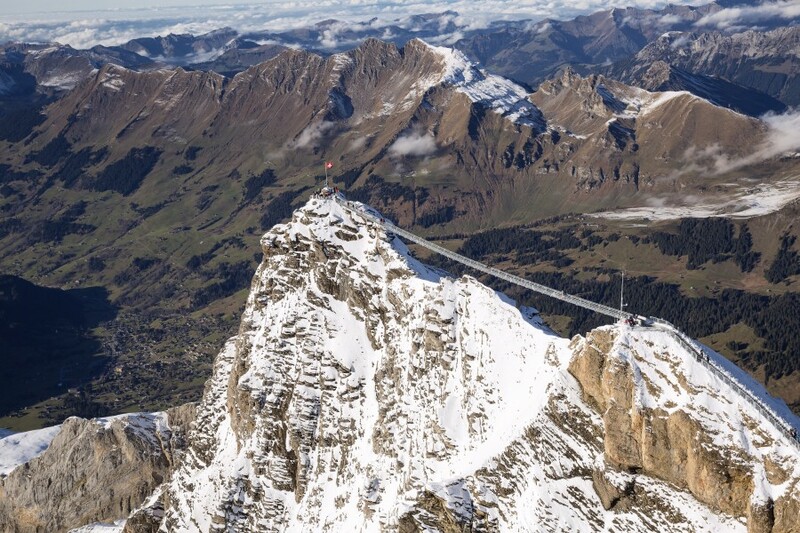 © Gstaad 3000 AG Access to the suspension bridge is open year round, depending on weather conditions. 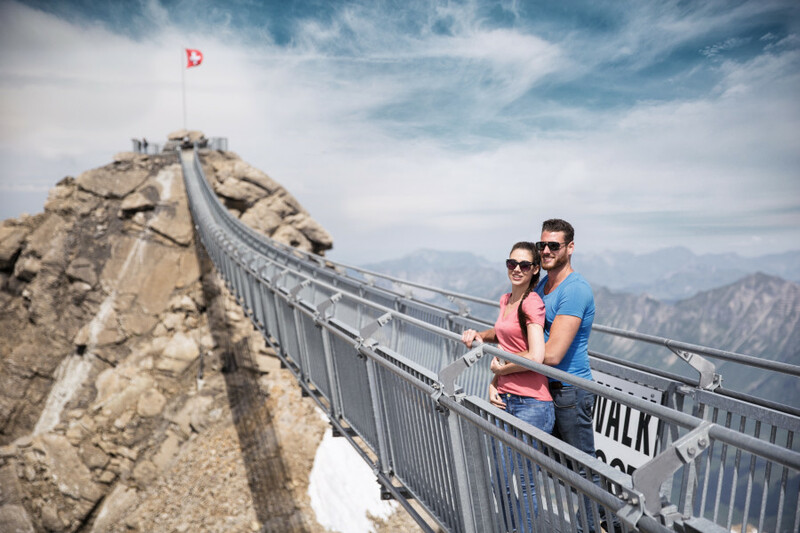 The first suspension bridge to connect two mountain peaks is located at Glacier 3000 and lets visitors enjoy truly stunning views of the Alps, such as of Matterhorn, Mont Blanc Massif, Eiger, Moench and Jungfrau. The bridge is 107m (351ft) long, 0,8m (2.6ft) wide and 1,2m (3.9ft) high with a 15% slope and features four pieces of key supporting steel cables with a 120 tonne loading capacity. It connects the View Point lookout with the Scex Rouge. 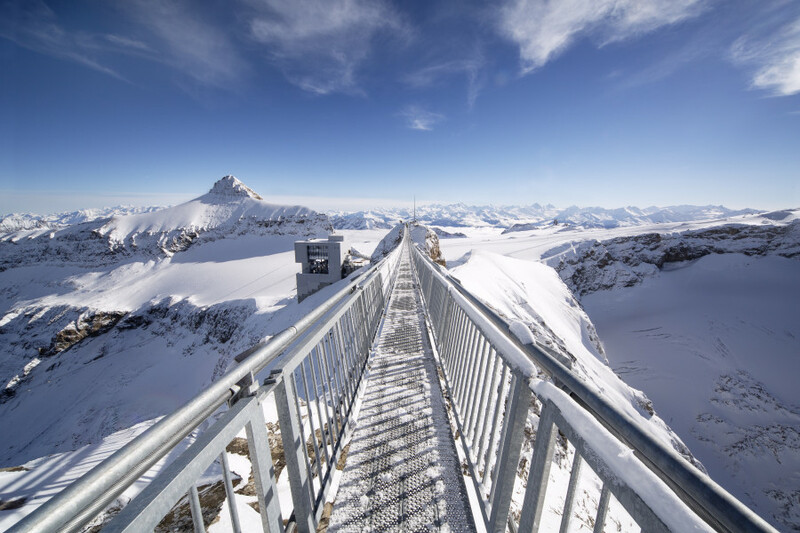 The Peak Walk by Tissot is free of charge for Glacier 3000 visitors and is open year round, depending on weather conditions. 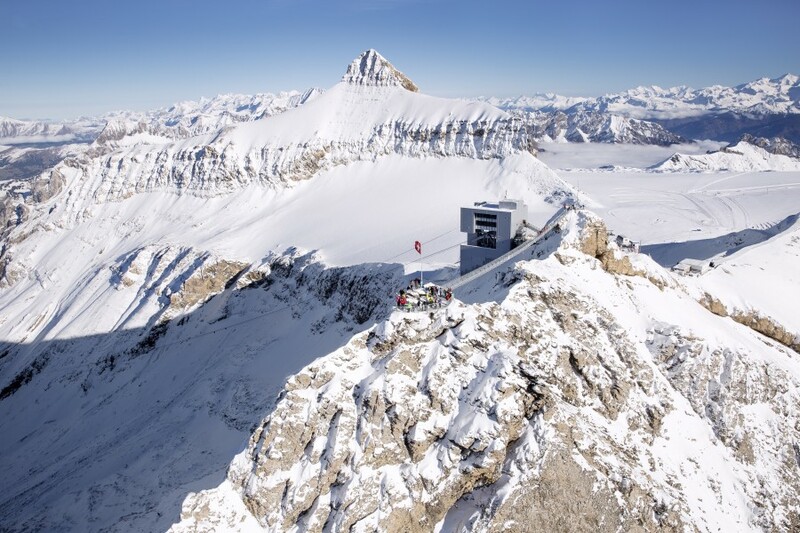 Glacier 3000 is easily reached by car from Lake Thun (Spiez), Lake Geneva (Aigle) and Gruyère (Bulle) areas. You will find free parking next to Col du Pillon. The region is only a few hours away from the airports in Geneva, Zurich, Basel as well as Bern and Sion.